George J. O’Connell founded Shawmut Equipment Company, Inc. in 1957 as a crane distributor in Connecticut and Western Massachusetts. 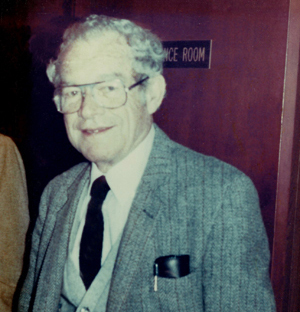 In 1978, George’s son, David O’Connell, became president of the company. David’s sons, Brian and Kevin, and David’s nephew, Joe Vergoni, joined the family business in the early 2000s. All three members of the third generation serve as vice presidents and sales representatives. Today, the company represents all the brands of the Manitowoc family of cranes – Manitowoc, Grove, National and Potain – as well as carrying a variety of utility equipment. They serve their customers from three locations in New England and the Maritime Provinces of Canada. Shawmut’s facility locations include Manchester, Connecticut, South Easton, Massachusetts, and Saint John, New Brunswick. Shawmut Equipment is proud of their many long-time employees who have worked hard for the company for decades. John Evans, the Parts Manager, joined the company in 1988. Pam Cothran, the General Office Manager and Controller, has been working to make Shawmut’s operations run smoothly since 1987. 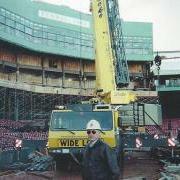 Several of Shawmut’s technicians have been helping customers keep their equipment up and running for many years. Shawmut has a close group of employees who are dedicated to taking care of their customers by providing them with everything they need from new machines to parts to expert technical assistance. The brands that Shawmut represents can be relied on for dependable performance all day, every day, and Shawmut’s service and parts departments are always available to address any problem.